Friday August 24, 2018 - President Uhuru Kenyatta quietly sacked his nephew, Jomo Gechaga, as his Personal Assistant. This is after he was embroiled in many corruption scandals that were almost tainting the name and the image of his Presidency. His sacking comes even as Uhuru has stepped up the fight against corruption and is sparing no one. 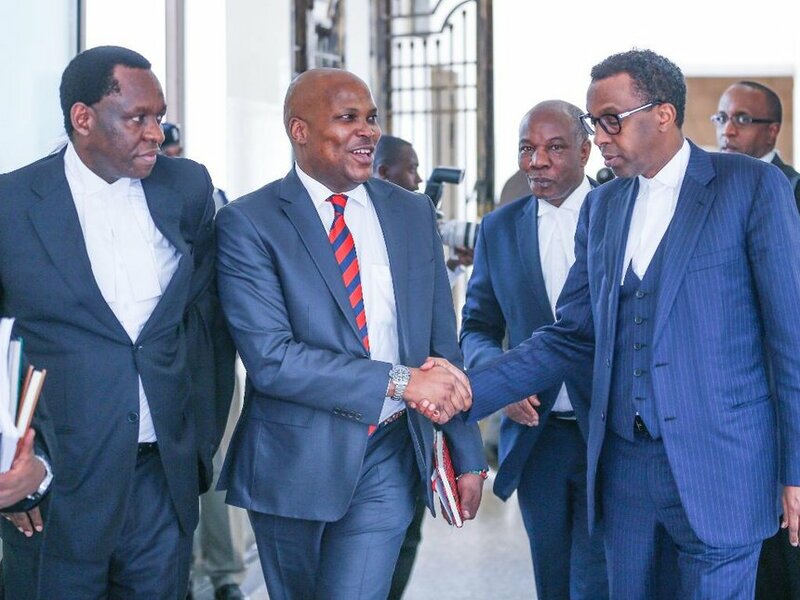 Sources intimated that Uhuru sacked his nephew after it emerged that he obtained sh100 million in form of a bribe using the President’s name in exchange for tenders at State House. The President received the damning information about Gechaga’s underhand dealings from the same tenderpreneur he conned and immediately ordered for his arrest and detention at Kilimani Police Station before he unceremoniously sacked him as his PA. The source noted that it was not the first time Uhuru was having a fight over issues to do with Jomo Gechaga because the guy is irredeemably corrupt. Jomo admitted to taking the money but said he had used it and didn’t have it anymore.